Our Nicaraguan tobacco leaves are famous around the world for good reason! The soil and climate where this tobacco is grown, offers a distinct flavor and a certain ‘kick’ that many cigar smokers know and love. Our latest crop of Nicaraguan Wrapper tobacco leaves have a medium to strong flavor profile. Nicaraguan is known to add a full bodied combination of flavor and boldness to any cigar you roll. 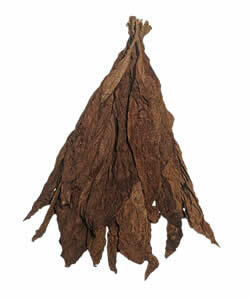 These leaves always arrive tied in bundles, also known as ‘hands’, of tobacco leaf. This leaf is of wrapper quality so your leaves will arrive with little to no damage! Brazilian Wrapper leaves are medium to dark in color, yet not too thick. This leaf, grown in Brazil, is slightly reminiscent of the Brazilian Habano Viso except smaller and with a very distinct aroma. This Brazilian Arapiraca Cigar Wrapper is slightly larger and darker than the popular Mata Fina which we have been stocking for several months now. This beautiful leaf is similar to its Brazilian cousins, yet it still carries a slightly stronger scent, and a deeper brown color in the leaf. These leaves are grown from Habano seed in the fertile fields of Brazil. Brazilian Habano is medium to dark in color and not too thick and similarities to the PA Oscuro Wrapper, yet with it's own distinct smell. Our Mata Fina Brazilian Wrapper leaf is medium to dark in color, and medium in thickness. and has some similarities to the Brazilian Habano Viso. This is one of the few select / premium quality Brazilian wrappers that we carry at Wholeaf! 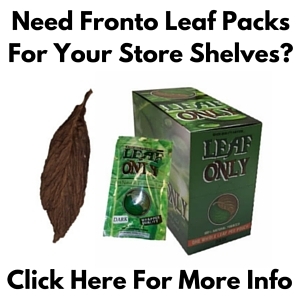 The Cameroon Leaf is known for being mild, thin, smooth and wrapper quality. Cameroon wrapper is very similar to the Connecticut Wrapper or 'shade leaf' in appearance and texture. Our Ecuadorian Corojo cigar wrapper leaf is grown in the Quevedo region of Ecuador. This cigar wrapper leaf is dark chocolate brown in color and offers an aromatic taste that is a favorite of our customers. The Indonesian Besuki Wrapper is very thin and features the classic Indonesian flavor profile. 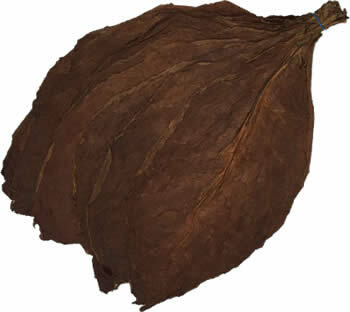 This mild but flavorful leaf is popular for use in premium cigar blends. 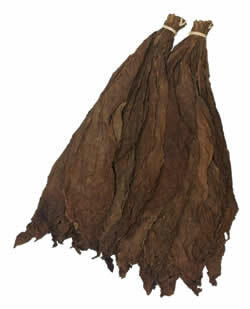 The extremely popular Mexican San Andres cigar wrapper leaf. With its beautiful dark color and sheen, this leaf easily earns its way into a top tier grading in comparison to the other high-end wrappers we carry! The PA Oscuro Wrapper is a bold & beautiful dark chocolate wrapper leaf, grown in the fertile fields of Pennsylvania. This is a high quality cigar wrapper that is slightly thinner but similar in color to 1DW Maduro leaf.